Thanks to the warm responses and involvement of many donors and sponsors, the children of Familia AMURTEL’s dream to go the seaside for the first time was fulfilled! 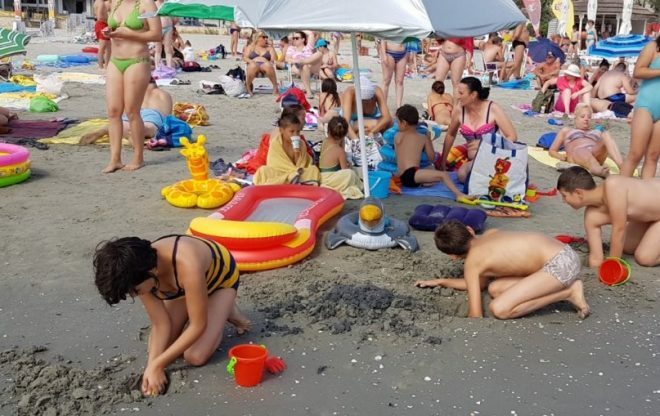 The 8 small children of Familia AMURTEL spent 5 magical days at the Black Sea, together with two volunteers from Bucharest, Lizi and Andreea and our caregivers – Mirela, Violeta, Marina and Ana. The children were amazed to see how big the ocean was! They splashed and jumped in the waves, swam in the sea, collected seashells and spent endless hours digging and building happily in the sand. The gentle sounds of the ocean waves, smell of salty air and warm sunshine was so healthy for them! They also visited a Dolphinarium and watched dolphins, seals and sea lions leaping and playing with a ball. They and visited a beautiful historical monument, the „Constanta Casino”. It was an exciting and unforgettable experience for them. Thank you for making their dream come true!